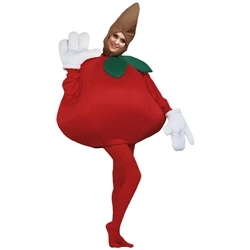 Apple Adult Costume. Includes a tunic style costume with leaf and stalk hood. Hands and tights not included. One size fits most adults.